One of the recorded phone conversations provided by Russian authorities to the FBI contained a vague dialogue about jihad between Boston bombing suspect Tamerlan Tsarnaev and his mother, an anonymous US official said. Secretly recorded phone conversations of the Tsarnaev family have allegedly served as a basis for the Russian Federal Security Service (FSB) to warn their counterparts in the US about possible extremist links of Tsarnaev family. A US official told Associated Press on condition of anonymity that in 2011 the FSB secretly intercepted a call between the deceased Boston bombing suspect Tamerlan Tsarnaev and his mother in which they indirectly discussed jihad. The conversation mentioned Tamerlan’s possible trip to Palestine, which he declined as he did not speak Arabic, according to the experts who examined the information Moscow shared with Washington. No other details have been provided. There was nothing in the conversation that suggested terrorist activity in the United States, officials said. In the second intercepted call, the mother of the two suspects, Zubeidat Tsarnaeva conversed with an unnamed man in the Russian Caucasus who at the time was under FBI investigation in an unrelated case. Again, no other details were given. Russian authorities, in the past week did turn over to the US authorities all the available information regarding the Tsarnaev family, AP reports. Anzor Tsarnaev, the father of the two Boston bombing suspects, said on Sunday that he is postponing his scheduled trip to the US due to poor health. He said he will be staying in Chechnya, southern Russia, as his blood pressure had spiked; he did not specify whether he had been hospitalized. Tsarnaev planned to visit his younger son Dzhokhar and attend his eldest son Tamerlan’s funeral. The FSB has not yet commented on this latest development in a complicated, conspiracy surrounded story. Moscow first raised a red flag of possible extremist motivations of the family back in 2011. The FBI briefly investigated and closed the case in June 2011. Dissatisfied with such a result, the Russian authorities made a second identical request to the CIA in September 2011. This time Tsarnaev’s details were entered into the Terrorist Identities Datamart Environment (TIDE). After being put in the TIDE system, Tsarnaev’s name was entered in another database maintained by the Homeland Security Department’s Customs and Border Protection bureau. Tsarnaev was flagged on that database when he left the US for Russia in January 2012, but no alarm was raised. After all, the Tsarnaevs, have been living in the US for over a decade before the Boston tragedy and the younger brother even became a naturalized US citizen. 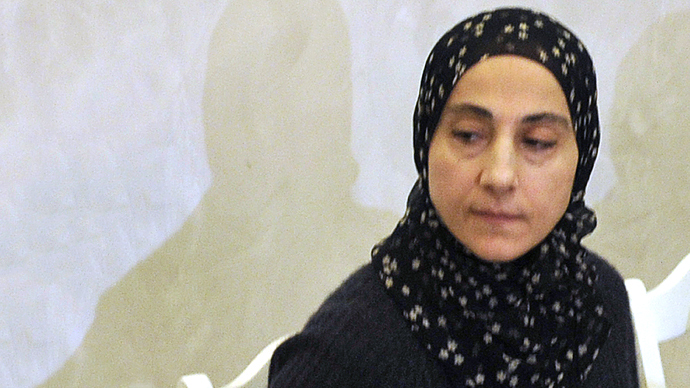 Now it appears that the CIA also put the mother of the suspects, Zubeidat Tsarnaev, on TIDE at the same time that her 26-year-old son Tamerlan was added. Two years later, after Russia has given an early warning to the FBI, Tamerlan and his brother, Dzhohkar, allegedly detonated two homemade bombs near the finish line of the Boston Marathon, killing three and injuring more than 260 people. Tamerlan was killed in a police shootout and Dzhohkar is under arrest in his hospital bed. The fact that Tsarnaev family members were listed in a number of terrorist databases raises questions of what federal agencies knew, and whether they could have done more to prevent the attack. Several high-ranking FBI officials had to face questioning by US lawmakers over whether they indeed missed red flags surrounding Tamerlan Tsarnaev and whether failure to share intelligence was a contributing factor in last deadly bombings.